The human body is incredible. Part of what makes it so impressive (apart from the concept of consciousness and self awareness) is its ability to regenerate itself. Your outer layer of skin, the epidermis, replaces itself every 35 days. You are given a new liver every six weeks (a human liver can regenerate itself completely even if as little as 25% remains of it). Your stomach lining replaces itself every 4 days, and the stomach cells that come into contact with digesting food are replaced every 5 minutes. Your entire brain replaces itself every two months. And the entire human body, right down to the last atom, is replaced every 5-7 years. The best way to start the regeneration process is a comprehensive Detox. You can get started today with Catherine’s 21 Day Detoxification Program (eCourse). Detox Diet to Cleanse Your Colon, Kidney, Liver, Lung Lymph and Skin! Do you have a book or catalogue? That is a wonderful news! 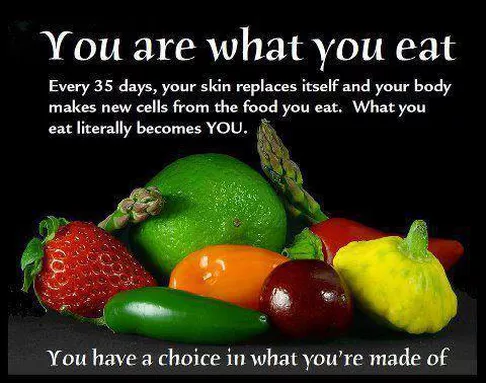 Body can regenerate eating well! thanks Marta! I have a 21 detox program to help people get a jump start on their health. absolutely. You can check out my 21 Day detox ecourse. Best place to start!